Exactly where the original town of Sunbeam was located, and when it was settled is difficult to ascertain from the signs located at Sunbeam's current location on Highway 75 on the Salmon River. The site is most notable for the remains of the Sunbeam Dam that was built in 1910 to power a local mine. The dam was only used for power for about a year, but continued to block the flow of the Salmon River for over two decades, which ruined the salmon fishery above the dam. The dam was breached in the 1930s, possibly the first major fish restoration project in the West. Today, Sunbeam has a historical interpretive center, a cafe, and is the location of a whitewater rafting outfitter business. 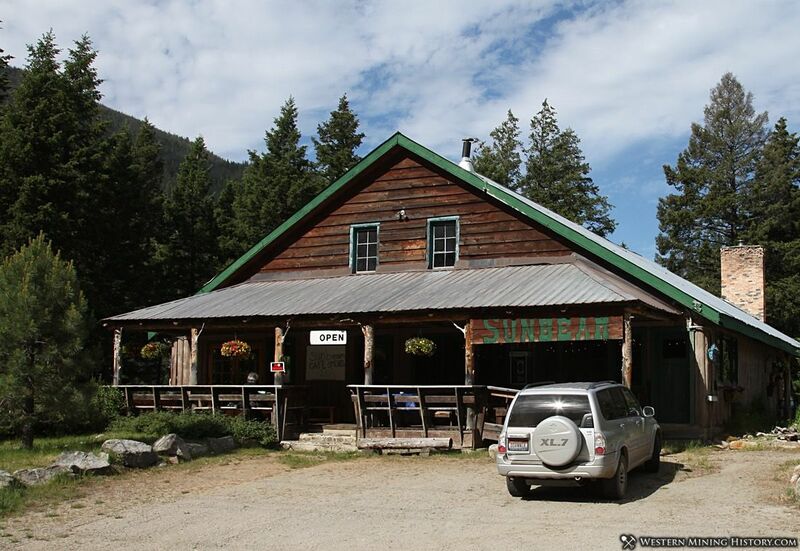 This site was known as the Sunbeam area named after the town of Sunbeam adjacent to the Golden Sunbeam Mine, which was located on the Yankee Fork 16 miles from here. During 1909 and 1910 the young town of Sunbeam flourished as crews operated the large mine and built the Sunbeam Dam on the Salmon River to provide power to the mine and it's machinery. The construction of the dam and the power plant captured the imagination of the country when Challis's newspaper, The Silver Messenger, printed postcards showing the dam and its lake. The power plant ran only one year before the mine closed and transformed the town of Sunbeam into a ghost town in 1911.